What do you do when you are the forensics anthropoligst and is working on a case of a dead girl and the case becomes more complicated when the girl isn't a human but a fae . Well that is what happens to Angel Svabina and she is thrown into a world of werewolves and vampires oh and the mafia familes they represent . 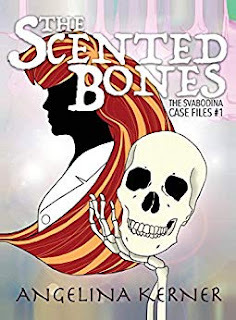 When the bones are stolen and she has to work with werewolves will she loose her heart to her mate and will she solve the case without ticking off the Fae Queen .